It is not very often that you find someone via social media that has a special energy that radiates in each and every post. Jen Elliott (@BurpeesForBreakfast) is one of those special people and, let me warn you now: her playlist was nothing that I was expecting from her outward appearance, but that’s why you should never judge a book by it’s cover right?! We weren’t wrong about Mrs. Elliott’s resume, though. Her experience speaks volumes on her knowledge in the areas of health and fitness which was definitely an added bonus! Nutrition coach, personal trainer and author are just a few of the many hats she wears and, guess what guys?! She just released an e-book on food prep that I can not wait to dive into during my holiday break. And, just another tid-bit for those of you that are looking for some training help: distance is not an issue. 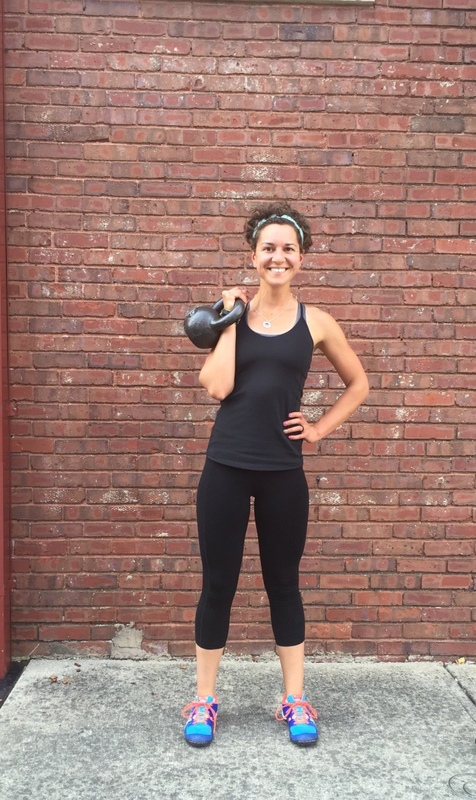 On top of all she has going on, Jen also hosts an amazing online bootcamp! No excuses, guys. I encourage you to check out both and in the meantime “Sweat It Out” and get a little Burpees For Breakfast in your life! 4. What is your favorite way to sweat? 5. How long have you been dedicated to living a #HEALTHYLIVINGLIFESTYLE? Since early 2010. I started running for a 10K I planned in college. Since then, I’ve loved all things fitness! I can't get enough of Lululemon. Their leggings fit my Quadzilla thighs better than any other brand I’ve tried. 7. What is your absolute favorite workout shoe and why? Asics tend to be my go-to shoe when it comes to cross training and everyday shoe. I currently wear the Asics Fortius TR. They fit me well and I’ve worn them for years. My first running shoe was a pair of Asics! 8. What motivates you to keep going on days that you don’t want to workout and or eat right? Two things: remembering my personal fitness/nutrition goals and remembering that I want to inspire other ladies. With the cold weather, I haven’t wanted to walk outside and reach my step goal for the day. Rather that using it as an excuse, I walk inside on the treadmill. I want other ladies to see that I don’t make excuses and I want to be able to reach my goals! I struggled to think up a name for this one! But, these are some of the songs I listen to when I’m swinging kettlebells or lifting heavy things. They help me stay focused, motivated and in the zone! 10. What songs are you rocking out to? : I love some old school rap and more upbeat music.